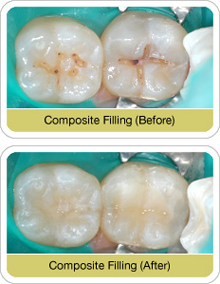 Tooth-colored composites are one type of filling. These composite resin fillings can be used on front and back teeth. There are limitations to their placement. If composites are not possible, we will give you alternatives.